According to Science, the National Research Council (CNR) of Italy helped to fund and promote a creationist book that was edited by a vice-president of CNR. So we know that recently creationist thought was present at a top level of the Italian scientific community. 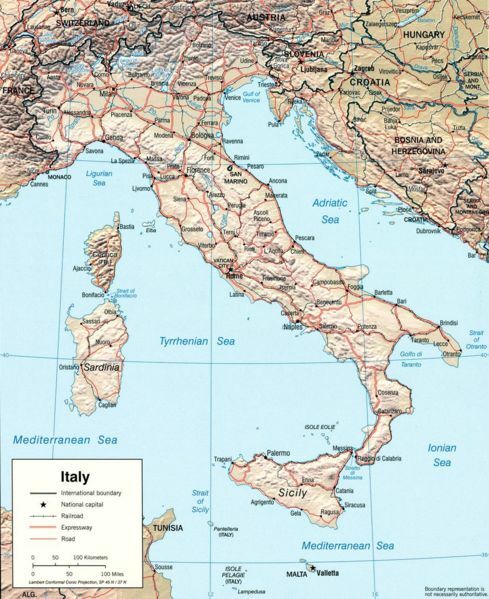 Are biblical creation believing churches being planted in Italy? Since the Roman Catholic Church leans towards supporting theistic evolutionary beliefs, what effect could creationism growing in Italy have? Has the press recently reported Neo-Darwinism being questioned within the Roman Catholic Church? How many Bible believers and creationists are there in Italy? Can the Question Evolution! Campaign and its 15 questions for evolutionists spread in Italy? Do we want to translate the campaign into Italian? 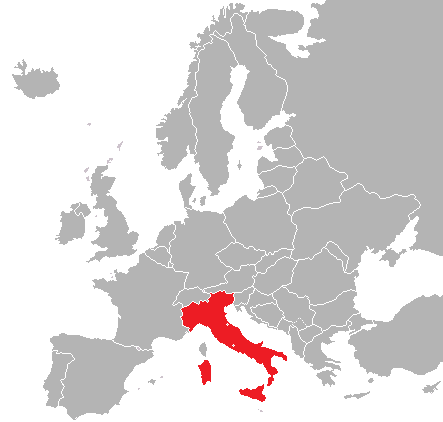 Are there initiatives to grow evangelical Christianity in Italy? Italy is a country with major financial problems right now. It could face economic collapse like Greece. When misfortune occurs, many times people are more willing to turn to God. Traditionally, evangelicals and pentecostals are much more likely to be biblical creationists. Currently, there are about 550,000 evangelicals and pentecostals in Italy. The make up about 1% of the population of Italy. However, Italy has a sub replacement level of fertility at 1.38 birth per woman. This is far below a replacement level of fertility of 2.1 births per woman. Of course, this means that there is a possibility that immigration will have a increased effect on the religious demography of Italy in the future. Given the growth of global Christianity/creationism and the growth of internet evangelism , immigration could increasingly cause more Christian creationists to immigrate to Italy. Currently, global Christianity and creationism is growing and global atheism and agnosticism are shrinking. The Birbeck, University of London professor Eric Kaufmann using a multitude of demographic studies argues in an academic paper entitled Shall the Righteous Inherit the Earth? Demography and Politics in the Twenty-First Century argues that this trend will continue. Kaufmann declared to a secular audience in a lecture titled Shall the religious inherit the earth: "The trends that are happening worldwide inevitably in an age of globalization are going to affect us." Today, most of those who remain religious in Europe wear their beliefs lightly, but conservative Christianity is hardly a spent force. Data on conservative Christians is difficult to come by since many new churches keep few official records. 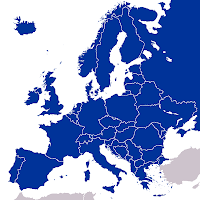 Reports from the World Christian Database, which meticulously tracks reports from church bodies, indicates that 4.1 percent of Europeans (including Russians) were evangelical Christians in 2005. This figure rises to 4.9 percent in northern, western and southern Europe. Most religious conservatives are charismatics, working within mainstream denominations like Catholicism or Lutheranism to ‘renew’ the faith along more conservative lines. There is also an important minority of Pentecostals, who account for .5% of Europe’s population. Together, charismatics and Pentecostals account for close to 5 % of Europe’s population. The proportion of conservative Christians has been rising, however: some estimate that the trajectory of conservative Christian growth has outpaced that of Islam in Europe. (Jenkins 2007: 75). Currently there are more evangelical Christians than Muslims in Europe. (Jenkins 2007: 75) In Eastern Europe, as outside the western world, Pentecostalism is a sociological and not a demographic phenomenon. In Western Europe, by contrast, demography is central to evangelicalism’s growth, especially in urban areas. Alas, immigration brings two foreign imports, Islam and Christianity, to secular Europe. I realize that Italy recently recently has had problems with their Muslim immigrants from Northern Africa which probably came mostly from their former colonies. Most of these immigrants are Muslim creationists due to the unpopularity of Darwinism within Islam. However, perhaps with rapid growth of global Christianity, Italy may be able to be more selective in the future in terms of their immigrants. 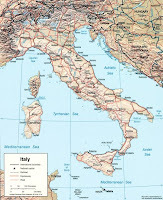 Given a choice between unskilled Muslim immigrants who have rioted throughout Europe and higher skilled, hard working Bible believing immigrants with the Protestant work ethic, Italy may choose the Christian immigrants. IS ITALY REALLY A "MISSION FIELD"? Leonardo De Chirico (1967) has planted and pastored a Reformed Baptist church in Ferrara (northren Italy) from 1997 to 2007. He is now leading a church planting project in Rome. He earned degrees in History (University of Bologna), Theology (ETCW, Bridgend, Wales) and Bioethics (University of Padova). His PhD is from King’s College (London) and it was published as Evangelical Theological Perspectives on Post-Vatican II Roman Catholicism (Bern-Oxford: Peter Lang 2003). He is Adjunct Director of Istituto di Formazione Evangelica e Documentazione (Padova), editor of its theological journal Studi diteologia, and director of the Center for Ethics and Bioethics (CSEB). He is also vice-chairman of the Italian Evangelical Alliance. Together with Pietro Bolognesi and Andrea Ferrari he has been general editor of the Dizionario di teologia evangelica (2007). He is married to Valeria and they have two children, Filippo and Akille. In addition, with the growing financial problems in Italy it could cause people to focus on their faith more. 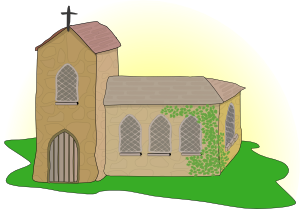 During the Great Depression in the United States churches which emphasized holiness grew and so did pentecostal Christianity (I realize there can be considerable overlap as many pentecostal church also emphasize holiness). Both of these types of protestantism tend to support creationism. In Mexico, evangelical churches growing quickly in a society which is undergoing significant financial and political problems. Question Evolution! Campaign and its 15 questions for evolutionist can assist with bolstering people's rejection of Darwinism and confidence in the Bible if it is supplemented with other Christian apologetic materials. Also, please watch the videos below which discuss the Christian mission field of Italy. Do we want to translate the Question evolution campaign into Italian? Yes, we want to translate the Question Evolution! Campaign into Italian. Our group has some contacts within the Italian-American community. Herve Le Guyader, a University of Paris biology professor who advised the Education Ministry on the Atlas, said high school biology teachers needed more training now to respond to the increasingly open challenges to the theory of evolution. Traditionally, Italians have had a disproportionate amount of influence on the Roman Catholic Church. Pope Benedict XVI’s announcement on 6 January of 22 new cardinals shows that he is continuing a pattern of stacking the College of Cardinals with Europeans (mainly Italians) and with leaders of the Roman curia, the papal bureaucracy whose officials are often considered more conservative than prelates in dioceses around the world. Of course, with sub replacement fertility rates in many European countries and in Italy the disproportionate dominance of Italians and Europeans in the Roman Catholic Church hierarchy could change.This may not bode well for theistic evolutionary beliefs and atheistic Darwinism given the growth of creationism in the world at large. Roman Catholic theistic evolutionists vs. Protestant creationists: Who will ultimately prevail?